Wireless alarm kit system to alert carer when patient leaves chair. Easy to set up and use, it is ideal for patients with dementia, special needs and autism. For many carers, keeping track of an elderly or disabled patient can be difficult. 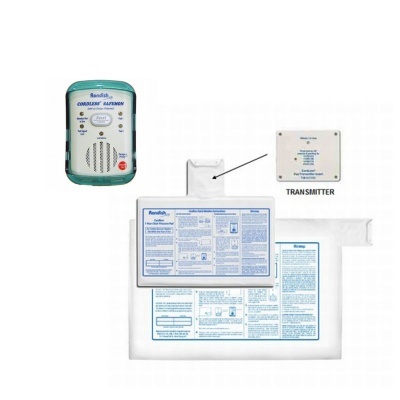 There are sensor kits available on the market, designed to alert you when your patient or loved one has got up out of their chair or bed. This is particularly handy for use at night, when it becomes more difficult to monitor them. The trouble is, many of these sensor kits consist of various wires and cables to connect the sensors, pagers and transmitters together. This can be hazardous, particularly if being used by someone with behavioural problems who may damage the equipment. 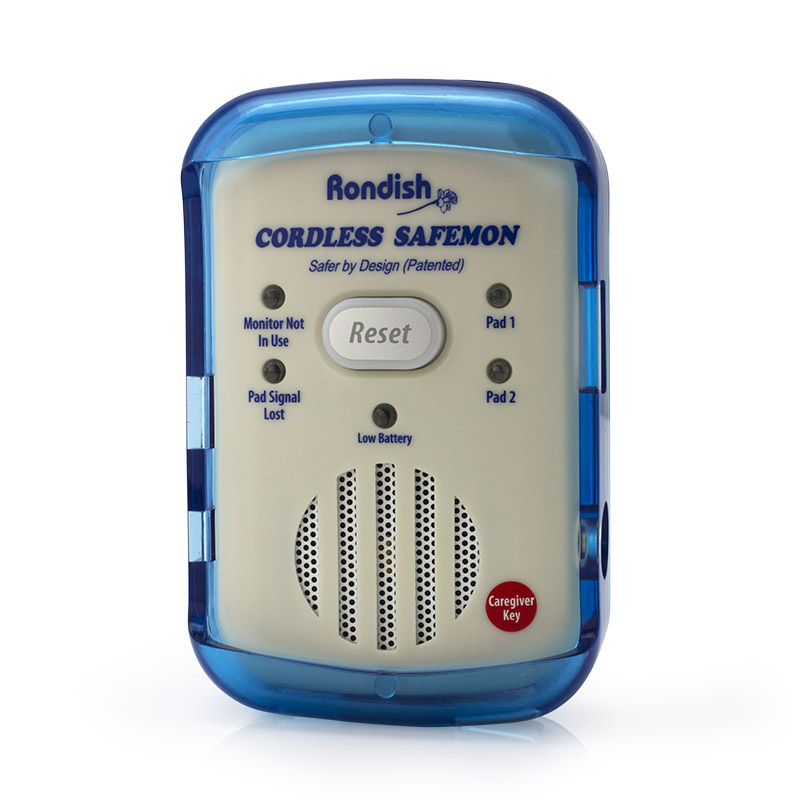 The Rondish Wireless Chair Rise Alarm System monitors the movements of someone in your care, helping to prevent them from wandering off and harming themselves. Without wires, you won't have to worry about bothersome cables getting in the way of you and your patient. How Does the Wireless Chair Leaving Alarm Kit Work? 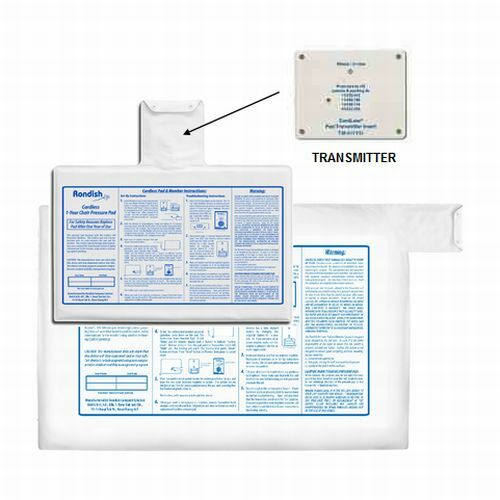 Simply position the sensor underneath the mattress or chair cushion of the patient you wish to monitor. This way, it will be hidden out of view to prevent any tampering. The sensor has a specially moulded pocket that stores a miniature transmitter. This detects if the patient rises from their chair, and alerts you to this by triggering an alarm picked up by your receiver. Your receiver is also signalled to confirm when the patient is in bed. The sensor, transmitter and receiver are all cordless, operating through radio signals. This allows you to look after your patient in a safe, hassle-free way.